Roger Tower of Riverine, Inc. attended the San Diego State University Professional Mixer by the SDSU AMA (American Marketing Association) to meet and learn about what the school has to offer for it’s undergrad curriculum. Many new opportunities for interns with shining faces were presented for the 2015 summer internship and development program at our growing digital marketing agency. Read on to learn who we are looking to hire. 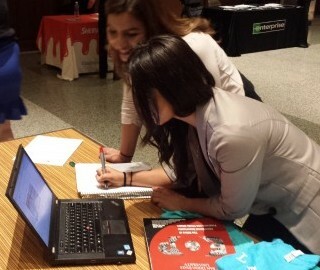 Students from SDSU AMA Mixer Jasmine and Nayeli add website suggestions. Roger was invited to the mixer after participating in one of their meetings as a presenter on digital marketing. One of the agency’s current consultants, Jeffrey Guevara is a member of the organization and notified us of this chance to present. While preparing for the event we thought “what is the best way to engage students while also critiquing their knowledge?” So we put together a short and easy to complete assignment for the students. They appreciated the opportunity to show their skills and it was a Win-Win for everyone. 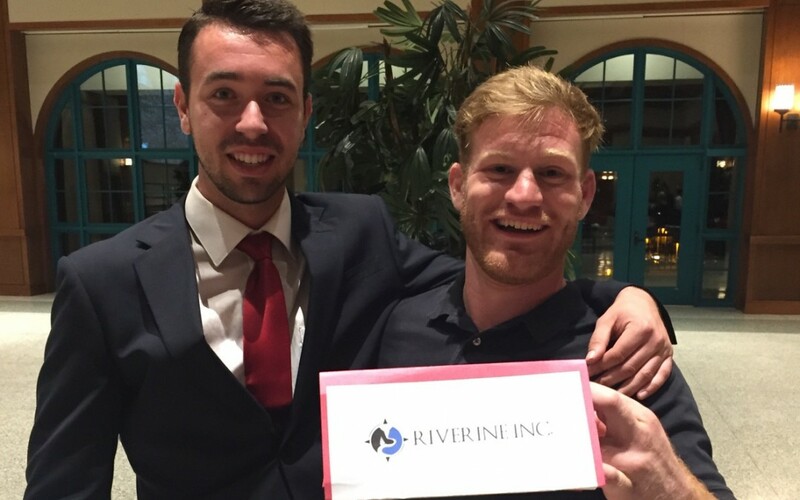 This was the first real networking event attended as the newly re-branded Riverine, Inc. and we look forward to working further with the San Diego State University American Marketing Association to help us grow. We are Looking for Content Creating Summer Interns! If you were not able to attend the San Diego State University American Marketing Association Professional Mixer here is the content from the flyer that was handed out to students interested in pursuing a career with Riverine, Inc. as digital marketing consultants. Please contact us if you are interested in learning more or applying to the agency. Riverine Inc. was founded with one thing in mind; to help business owners grow their companies. We are dedicated to working with our clients to create marketing strategies and campaigns that deliver long-term, measurable results. No gimmicks. No tricks. Just good clean marketing best practices and a passion for helping your business, find new business. Intern Experience at Riverine, Inc. 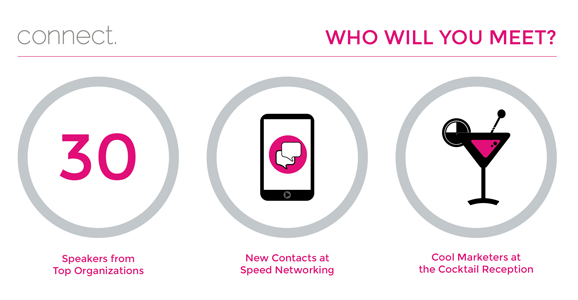 There are many roles our interns play throughout their experience within our growing inbound marketing agency. You will receive the opportunity to work on many aspects of digital marketing strategies, learn new techniques, and see how a real small business functions. Although we are interested in flexible interns we have a few specific roles we need to fill. Marketing Coordinator – In this position, you will work directly with the Director of Operations to assist in a number of digital marketing activities including SEO, SEM (AdWords), Email marketing, web analytics, CRM analysis, and minor HTML/graphic design. Video Production – In this position, you will create promotional videos, upload content to YouTube, add in annotations, help with new ideas for content creation and any other videography needs. Previous knowledge of video production & editing required. Content Creation – In this position, you will use your strong written skills to product many types of digital content from sales pages, to email marketing, to educational blog content. WordPress, Photoshop, & MailChimp knowledge preferred but not required. Graphic Design – In this position, you will support the marketing coordinator and content creators to produce graphics for social media, email marketing, videos, blog content, infographics and much more. Photoshop & Illustrator experience required. Web Development / IT – In this position, you will help produce new websites, update current client projects, and assist lead developer to troubleshoot/fix technical issues. Knowledge of WordPress, HTML & CSS required, PHP & JQUERY preferred. Search Engine Optimization – In this position, you will support the team with local and national search optimization techniques. Should have a basic understanding of link building, keyword research, analytics reporting, and sales strategy analysis as well as should have strong MS Excel skills. You are tech savvy, creative, detail oriented and know the difference between SEM & SEO. How to Apply for Work at Riverine, Inc. Starting June 1st we are looking for a variety of new hires at our agency. We can provide school credit for unpaid internships and are also interested to find independent contractors who have previous digital marketing experience. Please send your resume, a cover letter (why you would be a great fit), and any examples of previous work that reinforce your skill set to our agency.